The importance of proofreading your academic research paper and essay can never be overemphasized. This must be done before submitting the research paper. This is actually the final step in the research paper, and it is also the most important step. Proofreading helps to know if the introductory paragraph signals the original intent of the research paper and if the there is a natural flow between the preceding paragraphs and the introduction. The research work can never be said to be complete if the proofreading is not properly done. Research paper editing enables you to analyze the paper properly for correctness, and it will help detect punctuation, grammar, word usage and spelling errors in the research paper. A properly written paper will never communicate the desired message correctly. It enables you to verify the quoted sources and references. It equally gives you the opportunity to check if the research paper adheres to your preferred rule of writing style, be it AP, Turabian, CSE, Chicago, AMA, ASA, APA, MLA or any other style you prefer. You can hand over to professional editors to help get the job done. With their expertise, you will end up with a well-written, easy to read and precise research paper. They will proofread every sentence and make the right adjustments, using their experience garnered over the years. Do not think the research paper proofreading and editing are some icings on the cake; you should rather see it as one of the essential aspects of your research paper writing process. 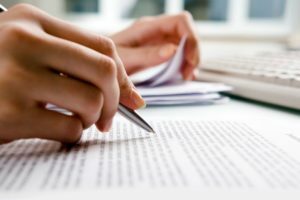 What are the very important research paper proofreading checklists you must consider while proofreading your research paper? Top 10 of these checklist items will be discussed below. The tone of the research paper must be properly checked during research paper proofreading. This is a tricky part of the research paper writing. The research paper tone must be properly aligned. The tone does not have to be extremely friendly, but it must be engaging. When choosing words to maintain the tone, be wary of the choice of words so as not to make avoidable errors with word selection. Do not forget this is an official write up and the tone must be kept official even when attempting to keep it engaging. Any wrong choice of word will make the whole write-up look out of place. Look out for any tone or choice of word that seem to be out of place and replace such words with something more official. Use of grammar can also be very essential as it helps add some credence to the write-up. Do not forget that the purpose of the research paper is to pass across a message. Make sure a communicating and engaging tone is ensured all through the process. The tone issue is more important in the introductory and the concluding aspects of the research paper. The other parts may involve a raw display of data gathered in the course of the research work, and the issue of tone modulation may not be necessary here. During your research paper editing, the heading must be placed on the top-left part of the page, and it must include your name and other important details. Additionally, it must include the date. The date must be written in the right format; ask for the right format so as to create uniformity with laid down rules. The title must be very interesting. While you may be limited regarding a choice of title, you should at the same time make the best out of it. The title must give a summary of the discussion or subject matter of the research paper. All the points to be discussed must be captured in just one sentence and be presented as the title. The title must be as short as you can make it, but it must not be too short. You should equally avoid abbreviation when writing the title; write every word in full and this will help prevent confusion of any kind on the part of the person reading the research paper. Do not forget there are times abbreviated words can have more than one meaning. This is yet another important consideration during proofreading. If I want to proofread my research paper properly, I will make sure the write up is double-spaced as this tends to prevent clumping together of the lines and also make the write-up very easy to read. I will equally make sure all the paragraphs in the write-up are indented. I will ensure there is no extra space between them whatsoever. Most research papers follow the rule of double-spacing, but you can also confirm from your supervisor if there he/she prefers certain exceptions. The citation in a top quality research paper should be clearly visible. The citation can be in-text or parenthetical, depending on what your supervisor feels is better. He/she should then be carried along while getting things done. The citations must be perfectly fitted into the body of the write-up in a manner to give the write up the desired meaning. You should also not forget that the tone of the write-up must be maintained while writing the introductory aspect. You are expected to understand how to input the citation in a way to maintain the tone. Make sure the citations are gotten from at least 5 sources too. This is an among the very first thing the supervisor or any one reading the research paper will see; it should, therefore, be properly implemented for the research paper to have the desired impact and approval. 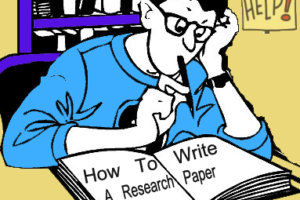 You can hand over to a research paper editing service to ease things up. The proofreading service provider will not only work on the spelling and punctuation but will properly arrange the write-up to ensure that they properly presented. If I am to edit my research paper, I will make sure each of the paragraphs starts with a very good topic sentence. I will also make sure I provide very clear evidence to support my thesis properly. I will make sure all the examples and instances I give in the body paragraph have the perfect citation all through the work. I will equally make sure that my paragraph flows in a very logical manner to make the write-up very easy to read. I will ensure a clear transition of the sentence too as this makes it easier to read the write-up and keep the reader engaged all through. A good research paper proofreader will never get too excited to the point of missing the general flow of the write-up. You must ensure no veering off the main direction of the write-up. One must always maintain the course and avoid being led outside the bounds of the research paper. While carrying out academic proofreading, one must make sure mention is made of previous researches related to the one being done at present. If you have a previous position before the research, this must also be mentioned in a stylish and complementary manner in the write-up. It will give the reader an idea of where you are coming from and where you are going. It contributes an engaging tone to the general look of the write-up too. You must have been given laid down rules regarding the right length of the write-up; make sure your write up meets with this rule. Make sure you use an adequate number of citation sources too, especially in the introductory aspect of the write-up. Find out from your supervisor the required varieties of source types to use and make sure you adhere to this too. Reliable and professional editing services can help handle all these. When finalizing on the research paper format, make sure the check for confusing words and replace them. Examples of words that can be confusing are ‘accept’ and ‘except’, ‘whose’ and ‘who’s’, ‘effect’ and ‘affect’. If you cannot warp your head around these words and their usage, it is better to throw them out and replace them with other words that are easy to understand or construct your sentences in other ways that will help you avoid the use of these words entirely. Proofreading for such confusing words should not be a big deal, and it should not take you long time to complete. This is one aspect of your research paper proofreading that you must never overlook. Missing out such avoidable errors can make you lose some points on the research paper. Organization is very important in your research paper. It begins with placing your paragraphs in logical order. The transition statements must be revisited to find out if they depict the desired picture of the research paper. It is very important that the paragraphs flow one into the other to create a continuous and meaningful drift of words and meaning. In order to get some inspiration in this regard, you can take your time to review some transition words. The logic points must follow one another. The best way to ensure good organization of the research paper is to ensure each of the paragraphs that make up the research paper is properly organized. The best way to ensure proper organization of your paragraphs is to see each of the paragraphs as little mini-essay. It is important that each paragraph tells its own story. Each paragraph must have a beginning, middle and ending statements. The beginning statement serves as the topic sentence; the middle statement serves as the evidence, while the ending statement serves as the transition or concluding statement. The best way to maintain focus while carrying out research paper editing is to narrow your focus. This is one lesson you must never forget at any level of education regarding research paper writing. You might have heard it over the years several times already, and that should tell you how very important it is. Narrowing your focus helps give more meaning and credence to your writing and helps prevent confusion on your path. You need to narrow on the thesis and be specific with the writing. Make sure you revisit your thesis statement a number of times in the course of the research paper writing and editing; this will help you stay focused to the thesis statement all through. A good research topic will be specific in its makeup; it will address specific problems and questions. A broad statement is one that can be summed up in just a word or two. It should not be difficult to obtain thesis statement for your research topic if it is not too broad. In order to narrow down the research topic, you may have to brainstorm a list of questions and terms that are related to the topic you have been given. 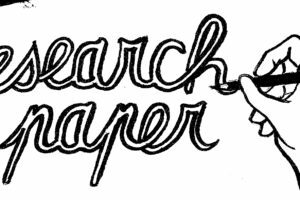 If this whole thing is getting confusing for you to handle, you can always link up with a research paper helper to help get things done. Ambiguity must be avoided when carrying out your research paper proofreading. Make sure you look for statistics and facts to back up virtually every statement. There are times you may not be able to find such statistics, but try as much as possible to include such in virtually all aspects of the research paper. It will keep the write-up focused and will also add some authority and originality to the final output. A little research before you start your writing will go a long way to help with the final output. One of the best ways to avoid ambiguity id to narrow down your line or argument; one may never be able to avoid ambiguity with a rather broad scope of the argument. If there is no specific evidence or fact to back up your statement, make sure you present your argument in the most convincing and engaging manner; you can equally state clearly that this point of the argument is from your own point of view. This may actually improve on your grade on the research paper. Research paper help providers can help remove any instance of ambiguity in your write-up top make the write-up more presentable and earn you more points. There may be a need to rewrite the research paper if proofreading the ones already written will not give the research paper the desired meaning, tone, and impact. There may be need to narrow down the scope, and there may be need to revise the thesis from start to finish implementing major modifications towards ensuring better presentation. This can, however, be avoided if you have earlier collected all your facts and then sort them out into categories. You can then use the categories as your paragraphs. This is rather challenging, but it is necessary. This is where you may need the help of professional editing services. They will help check if all facts and figures are properly implemented and also check if the paragraphs are well arranged. It makes a specific and very clear statement. It will help boost your confidence and give you the assurance of getting a better score on your research paper. It will also increase your knowledge base about copywriting. Before you pitch your tent with a research paper helper, read up reviews about the service provider as this will help determine if he/she is reliable or not. The reviews will give you an idea of what past clients have said about the service provider. It is better to stick with those that have positive reviews and can deliver the work in a timely manner. Can their services help me get more points? Can they get the job done before the deadline? What do their past clients have to say about them? Have they handled tasks related to mine before?